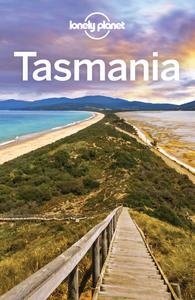 Lonely Planet Tasmania (Travel Guide), 8th Edition is your passport to the most relevant, up-to-date advice on what to see and skip, and what hidden discoveries await you. Laugh, be appalled, be turned on by art for grown-ups at MONA; hike to the summit of Cradle Mountain for spectacular views; and sample a hoard of gourmet local produce – all with your trusted travel companion. Get to the heart of Tasmania and begin your journey now! The Perfect Choice: Lonely Planet’s Tasmania is our most comprehensive guide to Tasmania, and is perfect for discovering both popular and offbeat experiences.